Cessna Aircraft Company announced today the successful maiden flight of the first production unit of the Cessna Citation CJ3+. The CJ3+ flew from the company’s manufacturing facility to Wichita, Kansa. About a 73 min voyage from point A to point B. According to the test pilot, the aircraft performed perfectly as expected. The new aircraft was announced on March 20th, 2014. The official FAA certification is expected this year. The aircraft can fly passengers non-stop from Washington, DC to Mexico City; from San Diego to Juneau. The CJ3+ has a maximum seating capacity for nine passengers. The CJ-series jets include all-new interior with redesigned cabins and cockpits. The CJ3+ features the Garmin G3000 avionics suite, which includes turbulence detecting weather radar, TCAS II, advanced Terrain Awareness Warning Systems (TAWS), and the installation of automatic dependent surveillance-broadcast (ADS-B) capabilities. 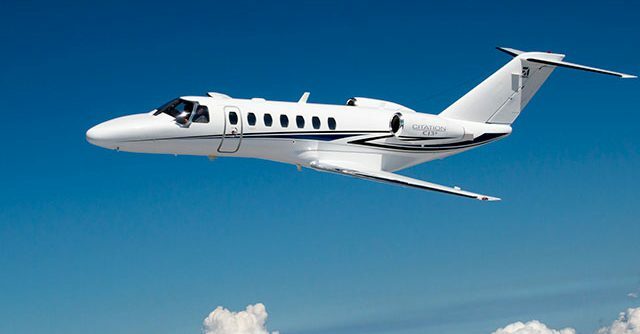 Cessna’s Citation series has designed, manufactured and delivered more than 6,600 jets to customers around the world. This makes them the most popular line of business jets ever produced.